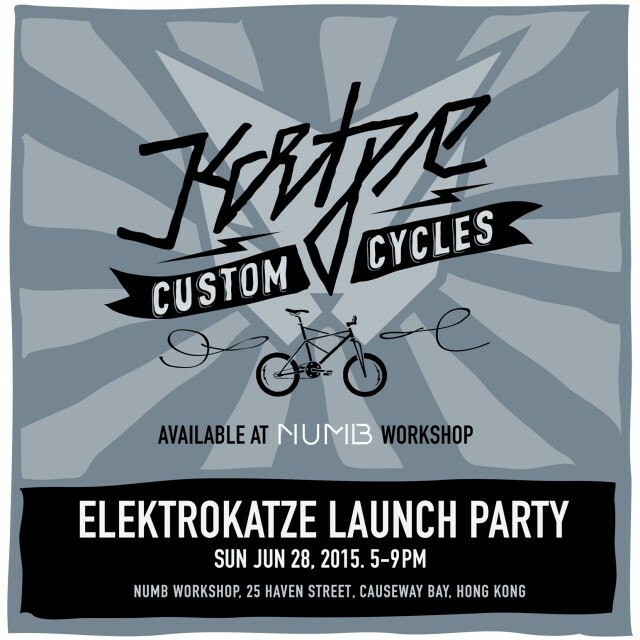 Please join us for the launch of ELEKTROKATZE at Numb Workshop! ELEKTROKATZE handmade steel bicycle frames are welded by Colossi Cycling, typically single-speed or fixed, with shortened handlebars and 20″ wheels. Meet the designer, watch the ‘Making of ELEKTROKATZE’ slide show and go for a small test ride in front of the shop. You can buy frames at the shop or place an order. Numb Workshop will also introduce a new bicycle rental service as an initiative to promote city-friendly mobility. Bicycles can be tested and/or borrowed for a small group ride later that evening. The ride will start around 9pm in front of the shop. You are welcome to bring your own bicycles. ELEKTROKATZE started as a fun design project, won Gold in the Product Design category of HKDA’s Global Design Awards 2013, and is now ready to hit the streets.